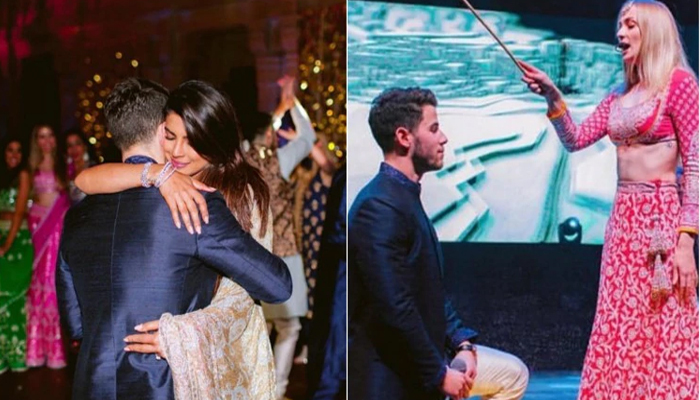 Although Priyanka Chopra and Nick Jonas’ star-studded wedding wrapped up in December, all the hullabaloo surrounding the grand nuptials doesn’t seem to die down anytime soon. Recently, some unseen pictures from the couple’s glittery sangeet ceremony made their way to the internet and fans cannot have been unable to contain themselves from being in awe. On the other hand Nick’s elder brother Joe Jonas stated that the groom’s family was completely ‘crushed’ by the bride’s in dance face-off. Priyanka and Nick have said that their wedding is ‘a merging of families who love and respect each other’s faiths and cultures’. The couple is currently vacationing in the Swiss Alps by their families before Priyanka gets back to shooting her upcoming film ‘The Sky is Pink’.